Then I got a message that it had been rescheduled. I had to wait two more days to get my hands on this book, but it was worth EVERY second. Another triumph for Kelly Irvin! Kelly certainly doesn’t write easy, sweet, cutesie stories. Her plots are intense, her characters are deep, and her solutions are never quite what you’re expecting. Make of that what you will – I’m not spoiling the book for you! Don’t try to make me! Have you ever been in a situation where you see your life going in to different directions? Bother paths have appealing aspects and both have struggles you’d rather not face. Which do you choose? HOW do you choose? How will Leila choose? Well, to find out – you have to read the book. And I think you’ll LOVE it! But then I’m somewhat biased because I LOVE IT! And I’m already looking forward to the next book! Hurry Kelly! Love… or… family… How would you choose? – Tweet this! 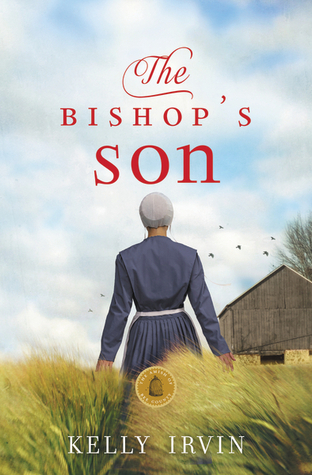 DO NOT MISS The Bishop’s Son by Kelly Irvin! – Tweet this! Leila knows she can choose Will and be secure in her own future. But when her heart speaks, it’s Jesse’s name she hears. When will God make His will known to her? Could leaving everything she knows—even her own faith—be a part of God’s plan?